The family of Nina Ivy Chinonso Onyenobi popularly known as Nina of the Big Brother Naija 2018 fame has reacted to the emotional meltdown she suffered yesterday as her romance with Miracle deteriorates. 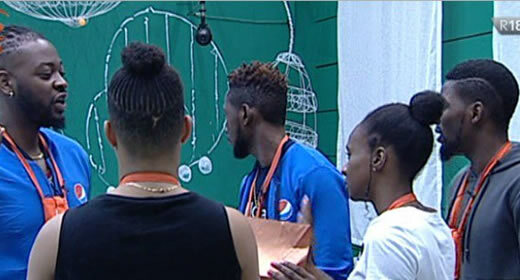 Nina’s family has appealed to her thousands of fans never to give up on her as she ends her romance with her fellow housemate, Miracle. Nina revealed yesterday night to Tobi that she is done with Miracle. Miracle has often times questioned the loyalty of Nina to him as she maintains her allegiance to her original lover, Collins. Meanwhile, Miracle is ready to continue the relationship outside the house. Hi Ninafans, Ninalovers, ninanation and all our supporters! We are sure everyone has been overwhelmed with the drama going on in the house! It’s been intense but let’s all realise that even blood SIBLINGS have their own misunderstanding and no matter how long, they always find their way back if theres real love & trust. Let’s not be too quick to judge or tarnish any image all in the name of a show. Let’s all strive to be positive both in our comments and actions. There’s always going to be disagreements but the beauty of it all is we will all agree eventually! The parties involved are making decisions right now solely on emotions and the best we can do is support them, criticise positively and keep loving them. It’s two weeks to the finale! Let’s not use the judgement of one day to jeopardize this three months dream we have all built. Let’s drop the negativity, show love, use positive words and keep Nina’s dream alive by supporting her always. Nina is a human being and not incapable of learning; whatsoever it is that she isn’t doing well, when she comes out, she will learn. Had she done or said things that made you angry as fans, it’s time for you to overlook those imperfections… Are those things enough to make you not to vote for Nina next week? As Nina fans and Lovers, Please look beyond her imperfections and never give up on her.